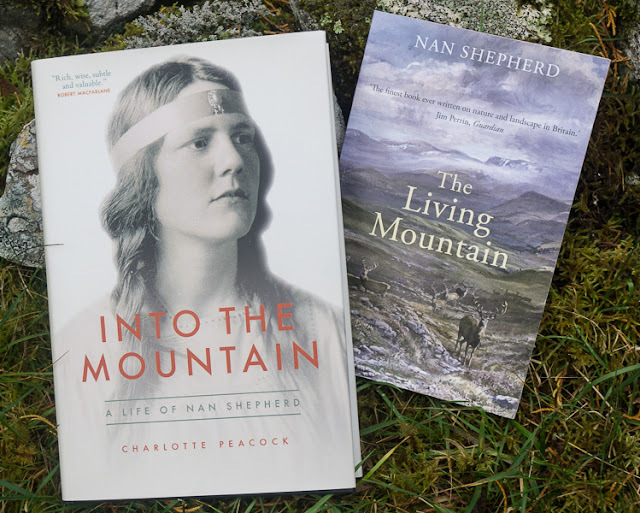 It's not often that an event in Grantown-on-Spey is so popular that the venue has to be changed at the last minute but that's what happened with the launch event for Charlotte Peacock's biography of Nan Shepherd, Into The Mountain. Well over a hundred people turned up to listen to Moira Forsyth of Sandstone Press and an author herself interview Charlotte Peacock about how an English woman in Suffolk discovered Nan Shepherd and became so entranced by her that she wanted to write her biography. 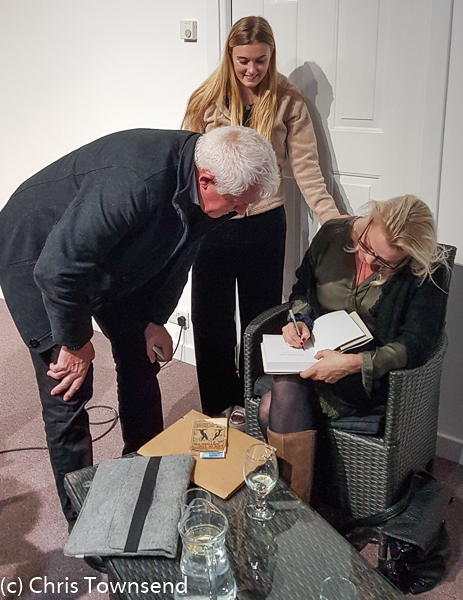 This was followed by questions on the process of researching and writing the book and on the author's feelings about Nan Shepherd - the last coming across as a mixture of fondness and respect. I felt the author, who described Shepherd as reticent, was somewhat reticent herself at times here. A huge amount of difficult and impressive research has clearly gone into the book. Following the interview there were questions from the audience - and what questions! There were people there who had met or been taught by Nan Shepherd and had fascinating and revealing stories to tell. Then there was the man who'd bought an old booklet about the Scottish National Antarctic Expedition published in 1907 and discovered Nan Shepherd had written her name in it. Wonderful! After this really enjoyable and informative evening I now have to finish reading Into The Mountain and write a review. I'm well into the book now and enjoying it greatly. It's well-written and packed with interesting details. I'm going to be rereading The Living Mountain and then reading some of Nan Shepherd's other books for the first time too.